Eugene (Cuba Gooding Jr.) was just released from jail after 17 years. Unlike many, Eugene is a changed man. He wants to make things right with his daughter, Katrina (Rachae Thomas) and son. But they reject him, blaming him for their childhood troubles…..and, truthfully, they are right: He was a bad father, and a bad guy. Lying on an application form to get a janitorial job at a local high school, Eugene, gets lucky one day as the Principal asks him to sit in for a few minutes in detention after the person in the class took off (she was threatened by a thug student). The kids learn very quickly that Eugene is not to be messed with! Given the detention task permanently, Eugene teaches (or tries to teach) the kids respect, life, and chess. But his past lies catch up with him, and he is fired from the school. Eugene rents a dilapidated house and sets up an after school meeting place for the kids to learn chess….and much more. To see what happens…..watch the movie! 🙂 It is based on a true story. “Life of a King” is a gritty, terrific, movie. 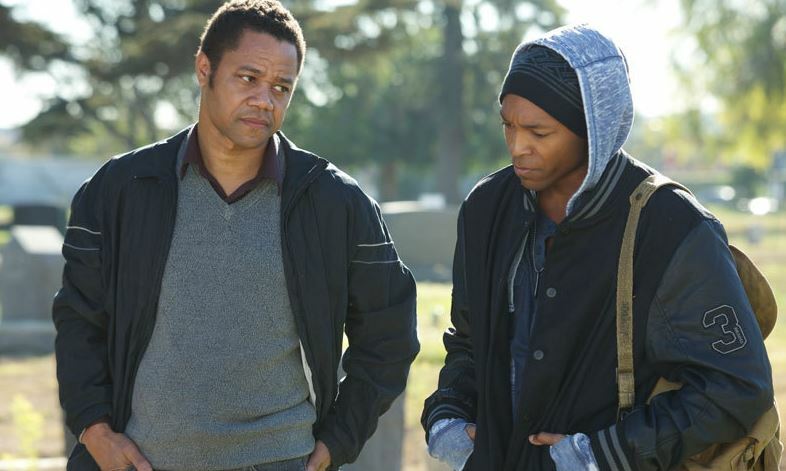 Cuba Gooding Jr. shines! Good for teens and adults alike. Life is what you make of it and you have to think of the consequences of your actions before you take the action. Like in chess.